This was our second Brazen Racing event and like the first time we were not disappointed. 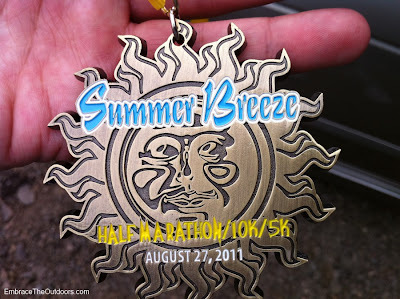 It was the Summer Breeze 10k. 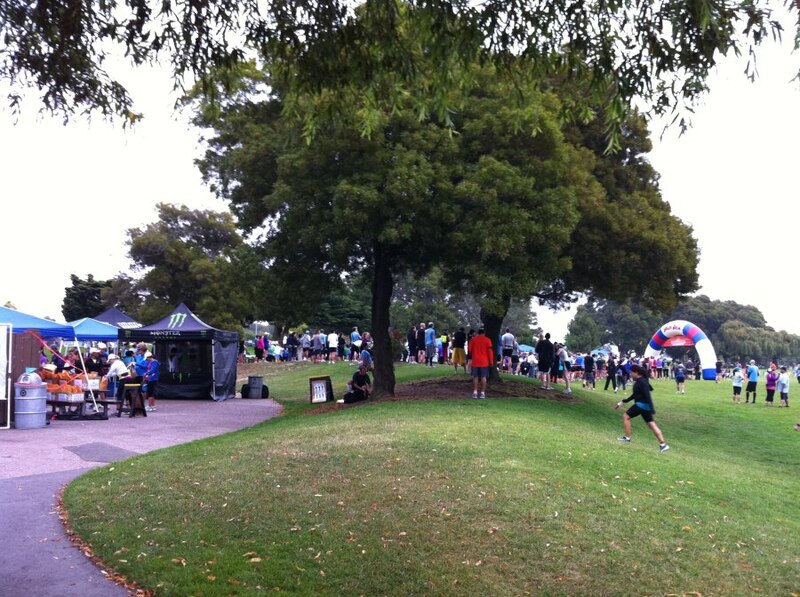 There was a 5k and Half Marathon as well. 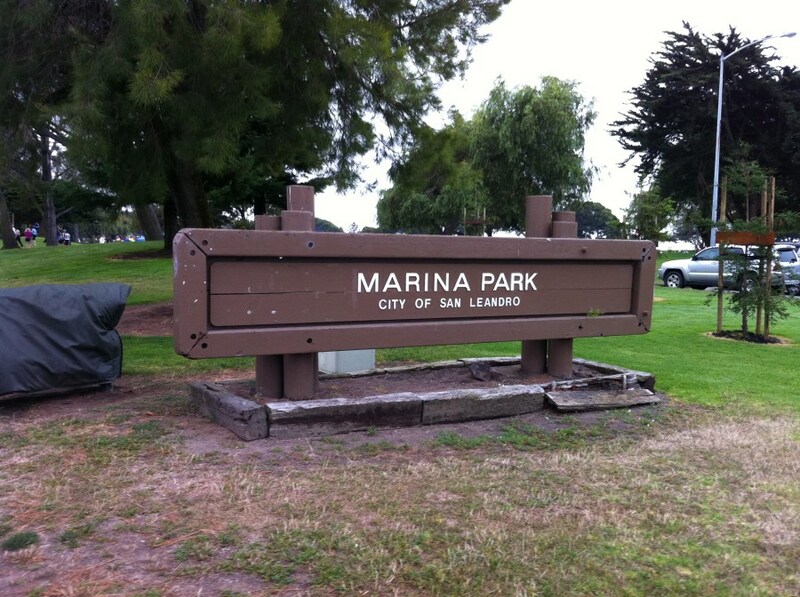 It started at the San Leandro Marina. Entrance fee for the 10k ranged from $34-$44 depending on when you registered. As with other Brazen Racing events there was an option to register for $5 less if you did not want a race shirt, or you could order a techinical fabric shirt if you added $6 to your registration fee. We opted out of the shirts. There were a few small parking lots near the event and plenty of street parking beyond that. There were signs directing people where to go for various things-bib pick up, same day registration, bathrooms. The signs were greatly appreciated and are often missing at other events. The lines for bib pick-up were not long and you once we turned in our signed waiver we picked up our bibs without a problem. The next stop was timing chip pick-up. No line here and it was so well organized that we got our timing chips quickly. The timing chip was attached to a foam strap that strapped around our ankle. In general I am not a fan of the ankle timing chips because I have had them cut into my skin on more than one occasion but in this case the fabric was very soft so I had no problems with it. The next stop would have been t-shirt pick up but we were able to skip that line. There was bag check-in/drop off near the t-shirt pick up as well. The Half Marathon started first, then the 10k shortly after and the 5k following. Race starts were on time. The start was on the grass of Marina Park but we soon turned left onto a paved trail. We continued on this paved trail along the shoreline, passing near a residential area before the path turned into dirt and gravel. We crossed two small bridges and headed into the Hayward Shoreline before turning around and retracing our steps. There was a slight breeze but nothing compared to how cold and windy this area can get so we were thankful for that. There were aid stations along the way, some with drinks and another one with extra goodies like fruit and trailmix. With the finish line in sight we went back onto the grass passing trough the cheering crowd. Once across the finish line we turned in our timing chips and received our finisher's medal. All race finishers receive a medal, regardless of the distance of the race. There was cold water within easy reach and it was a short walk to postrace food which included ice cream, danishes, bagels with cream cheese, peanut butter and Nutella and of course, hot chocolate. There was also race goodie bags to pick up. It was a short wait before 5k and then 10k results were posted. We checked the postings and then made the short walk back to our car to head home. Race pictures were taken along the course and at the finish and are available online for free, another great Brazen Racing perk. 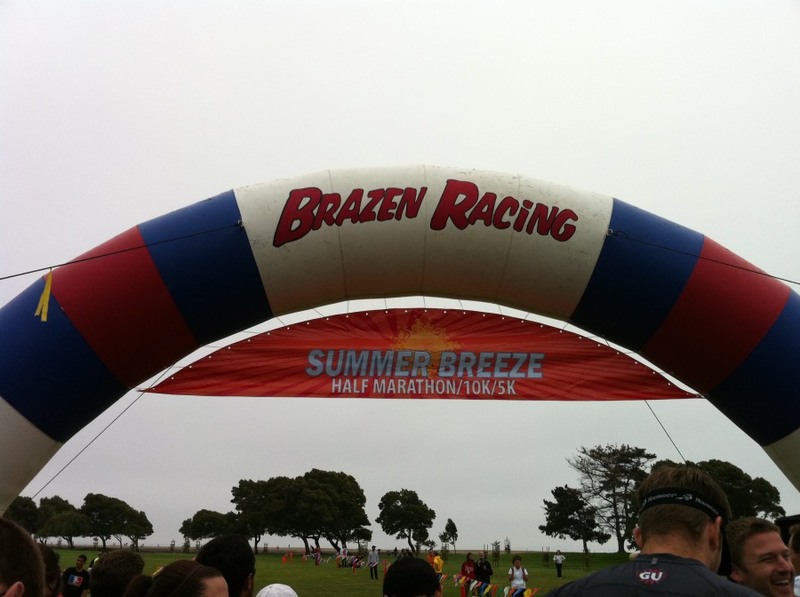 Brazen Racing events seem to be so well organized and in good locations, we are confident this is not our last.